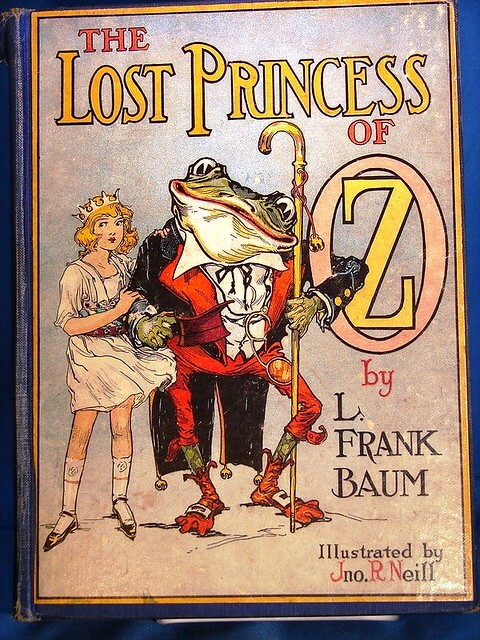 The Lost Princess of Oz was the 11th Oz story written by L Frank Baum. It was published in 1917. This book starts off with a very interesting premise and dilemma. 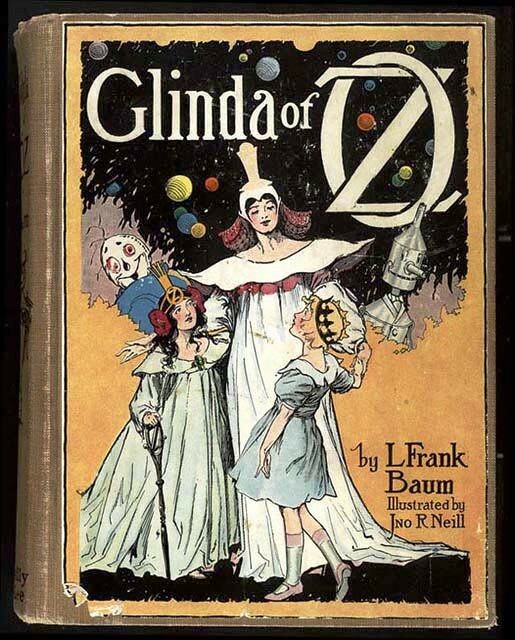 Dorothy and the other girls (Dot and Betsy) decide to tour the Oz country side and go to Ozma to ask permission. 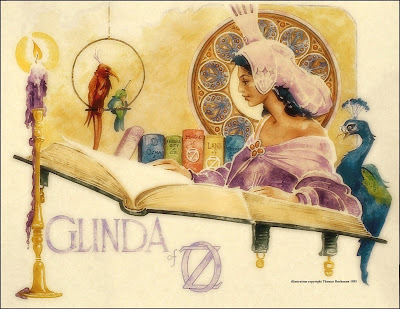 However, Ozma appears to be missing along with her magic picture frame. The Wizard discovers that his personal bag of magic instruments is also missing. Dorothy, the Wizard and several others (Dot, Betsy, Button-Bright, Cowardly Lion, etc) travel to Glinda the Good Witch’s palace to see if she can help. Unfortunately, Glinda has already discovered that her magical Book of Records and all of her potions have been stolen. Someone, obviously a very powerful, magical someone, has somehow managed to infiltrate both the Emerald City and Glinda’s magical palace and stolen all of the magical items found in Oz. 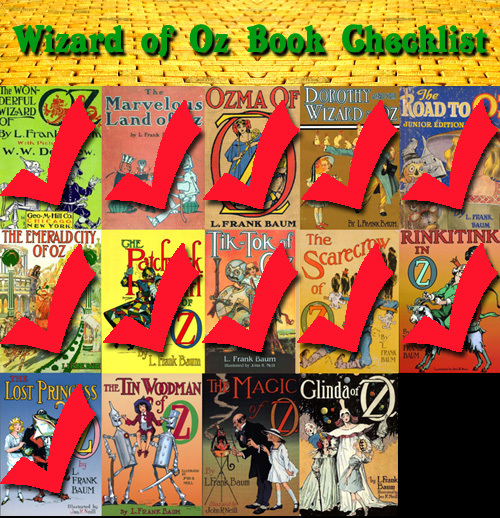 So Dorothy and her friends set off to find out who would have kidnapped Ozma and stolen all these items from Oz. At the same time, a walking, talking frog called The Frogman, who is the adviser to a group of people called the Yips, discovers that one of his people has lost a gold, jewel-encrusted magical dishpan. And she’s frantic to recover it. So they set off for Oz to see if they can find it. The story switches between both groups of travelers and their steady journey towards solving the mystery of the mysterious and powerful wizard that is making a bid to become the new ruler of Oz. It must be clear by now that I don’t read the synopses of these books before I start reading them. I want to go in fresh. Usually it doesn’t throw me, but it did with Book 10 – Rinkitink in Oz. It threw me for this book as well. Since I knew nothing at all when I started, I wasn’t super thrilled to be reading this book based on the title alone. But the first few chapters had me hooked. The intertwining plot threads in the beginning reminded me of The Emerald City of Oz. The plot threads come together about 2/3 of the way through the story and the end plays out nicely. Yes, magic is involved to “fix” everything but it was earned in that a powerful magician was the antagonist causing all the trouble this time. It wasn’t as cheap as the ending of The Emerald City of Oz in which the invading Nome hordes were thrown into the “fountain of forgetfulness” caused them to forget they wanted to attack Oz. That was unsatisfying. But this book, in it’s own childlike way, delivers on the promise of Dorothy and friends fighting an evil magician for the sake of Oz. So, yes, I would recommend this one. No one from the previous book, Rinkitink in Oz, shows up. I’m still wondering if any of those characters will ever be mentioned again. Which is odd because Baum just keeps adding characters to these stories. There are so many characters that inhabit these books that I’d like to see one of them use existing characters without adding new ones. And since there are so many, you have like 10 people being involved in the main plot. It’s getting a little ridiculous. 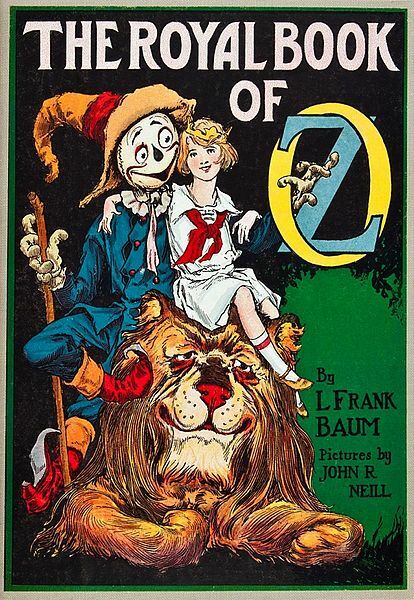 And, FYI, this becomes a problem with the final book that Baum wrote. But that’s still 3 books away. Regardless of all that, this is still a fun book that I enjoyed and I would recommend as one of the better installments of the series so far. Below is my checklist of Oz books. I’ve crossed off the ones I’ve currently read. 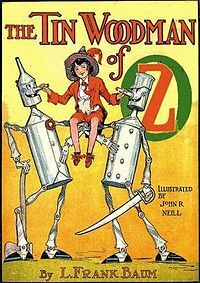 Next up, The Tin Woodman of Oz.